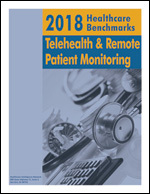 The healthcare industry is under pressure to advance its use of technology to control costs, digitize patient information and streamline operations. But with significant increases in cyber attacks and the sensitive nature of healthcare data, security is a growing concern, according to a new infographic by ESET. 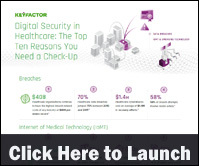 The infographic examines: which threats healthcare organizations fear most; how healthcare breaches affect consumer behavior; and what security solutions are most effective. 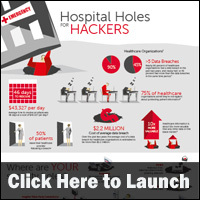 2015 was the year of mega security and privacy breaches in healthcare, according to a new infographic by CynergisTek. The infographic highlights CynergisTek’s predictions for what will come to the forefront of the healthcare privacy and security industry this year, including medical device security, healthcare as a target and more hacking. 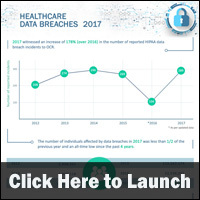 Healthcare providers and business associates must protect ePHI across all systems and technologies to prevent data breaches and remain HIPAA compliant, according to a new infographic by Scrypt, Inc. The infographic looks at how data breaches occur, how to prevent a breach and the risks surrounding mobile devices. 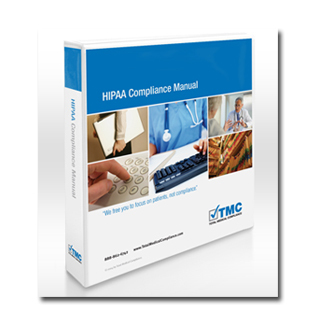 The infographic also provides a HIPAA checklist based on the Department of Health and Human Services’ recently released guide to the Privacy and Security of Electronic Health Information.